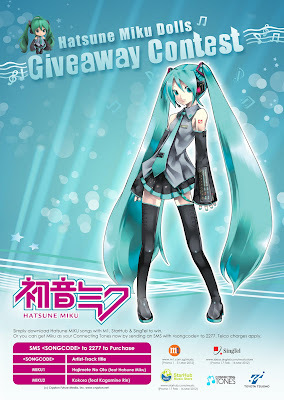 NTU Visual Arts Society News Blog: Hatsune Miku Dolls Giveaway!! 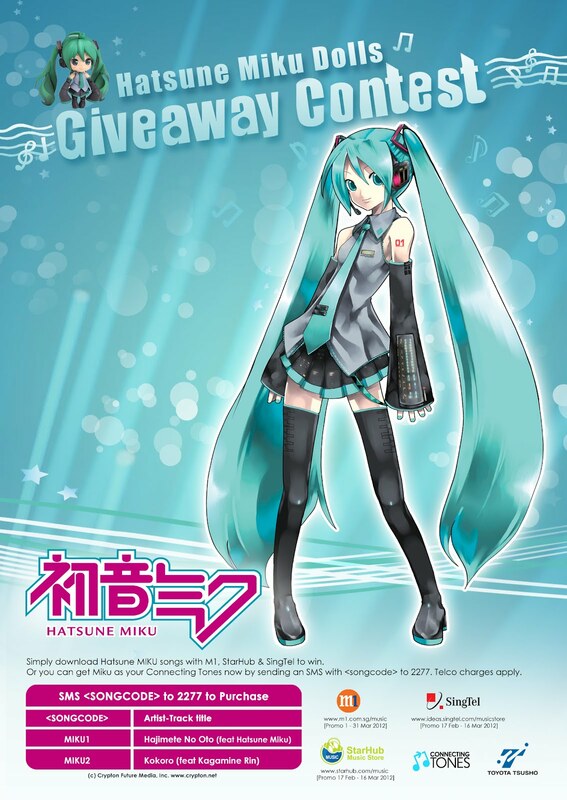 It appears that a number of local telcos have decided to tap into the otaku market here in Singapore by having a Hatsune Miku doll give away contest. Check the attached poster for details. As you may well know, Miku and the rest of her extended Vocaloid family are pretty popular in Singapore. Case in point: Just look at last year's Miku concert at AFA, and the screening of the Miku Live at Cineleisure. Miku sells, that's for sure. In any case, I feel that this is a good idea. It certainly is a step in the right direction, in the sense that it signifies that local culture is now more accepting towards all these anime related stuff.